Canada Flat Rate Shipping to Canada & USA. Learn More. June is Bursting out all over! We are all ready to soak up and enjoy a wonderful, warm and aromatic June. We have had a longer than usual winter this year, so all of the plants are putting in an appearance a little later than normal. 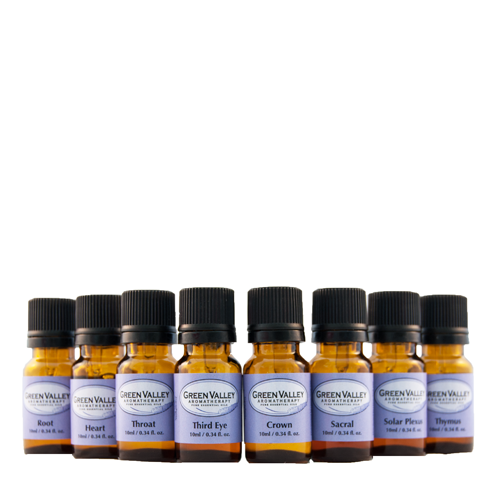 Weather plays a huge part in the essential oil business. Variations in weather can alter the components of the plant and can even affect the aroma. Only the most sensitive of noses can pick it up. If the growing areas have had a hurricane, typhoon, a long hot spell or a long cold spell, the plants can suffer a lot of damage or be destroyed. These situations can cause shortages in the essential oil which sends the price up, or they can cause a delay in harvesting which means you could be out of your favourite essential oil for a couple of months. Green Valley has been an internet business for 23 years. Last year we moved into a downtown location and now have a small retail storefront. 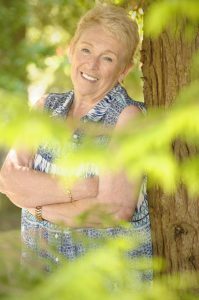 It has been a very interesting 12 months introducing the use of essential oils, their benefits and how to use them safely to our new friends and customers. The businesses in downtown Courtenay have a close knit relationship with each other. Everyone tries to learn from one another and promote each other. There are many events throughout the year to bring people downtown. Elevate the Arts is one such event. Last year we created a blend of essential oils to lift the creative spirit called Elevate the Spirit. It is quickly becoming our most popular blend. Litsea Cubeba is a very well known oil that, strangely enough, goes by its botanical name. Its given name is May Chang. Litsea Cubeba is produced in China, is steam distilled and is a middle note. Litsea has a wonderful, lemony aroma. It is funny that most of the oils that have a lemon aroma are good for the skin. I think of Litsea as a winter oil, when the flu is about, as it is antiseptic and deodorizing. I find it helps to keep my spirits up during those long, grey days. Litsea is not irritating to the skin and is very effective for oily skin. Usually people who suffer with acne have oily skin. Add some Litsea to your daily moisturizer and it will help to suppress those oil glands as well as regenerate healthy skin cells. The Heart Chakra (CNAHATA) is the 4th Chakra and is located in the centre of your chest. Green Valley’s Heart blend was created to bring you awareness and inner strength, and to allow your body to heal itself by clearing and balancing your chakras. 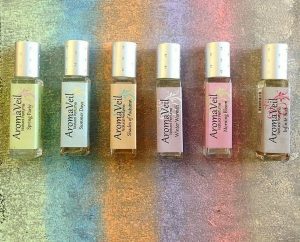 The Heart blend is made up from Geranium essential oil, Lavender essential oil, Mandarin essential oil and Ylang Ylang essential oil. Geranium essential oil is anti-depressant, antiseptic, diuretic and balancing. The heart chakra governs the skin and blood circulation. Both of these need to be kept clean, so antiseptic will help with that. Geranium is well known as a balancing oil (something all of the chakras need). The heart chakra is associated with forgiveness, healing, sharing, sincerity and unconditional love. All of these need to be kept in balance. Lavender essential oil is anti-inflammatory, analgesic, anti-anxiety, calming and balancing. These components were chosen to help clear and balance the chakra. Mandarin essential oil is uplifting, sedative, calming and stimulating. Ylang Ylang essential oil is an aphrodisiac, sedative, hypotensive and gentle stimulant. All of these constituents working together create a naturally healing and balancing blend. This helps to create a newly energized, calm, balanced and happy person. 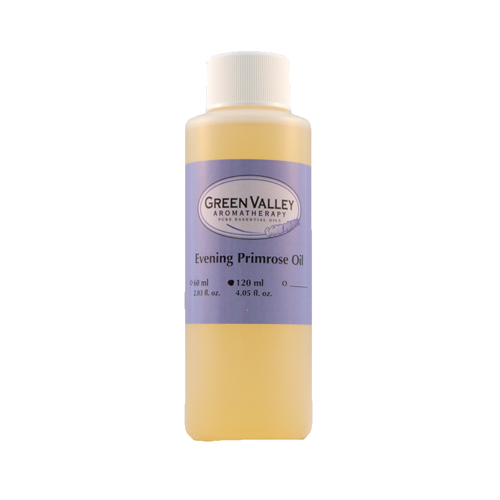 Evening Primrose Oil is high in gamma linoleic acid which is said to rejuvenate skin cells. It also contains fatty acids which are said to help with inflammation such as arthritis, eczema and gout. 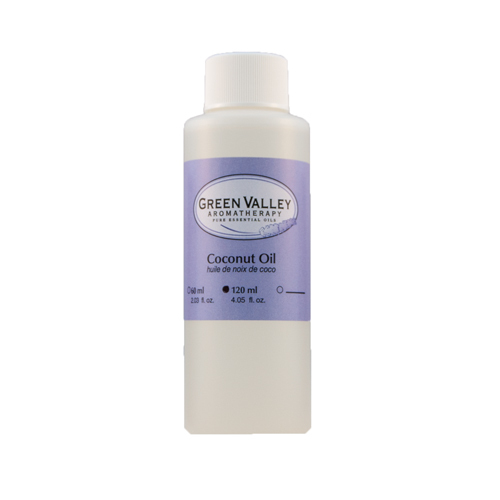 This oil is excellent for dry skin, scaly skin dandruff, psoriasis and wounds. It is also thought to prevent premature aging in the skin. If there are any seniors among your family and friends who are not getting out very much, you could offer them a foot massage. It will be wonderful and relaxing for them and you can chat while you are massaging. I suggest you have 2 or 3 ready-made blends available for them to choose from. There is a special store in Denmark that just sells expired or damaged goods. People love it because of its low prices. Aside from food items, they also carry non-food items such as make up and household products. Users of the store include low income households as well as people who are concerned about the amount of waste generated by needlessly throwing out items that are showing some wear and tear or that are past their best before dates. To see our full newsletter sign up here!